Our Certified Arborists are expertly qualified and sought after for their experience. It is strongly recommended that a consultation with Certified Arborists be arranged prior to a construction project. Whether the construction is of a new home or an addition, steps should be taken to protect your trees. Unprotected tree roots can be damaged by heavy equipment or even constant foot traffic. 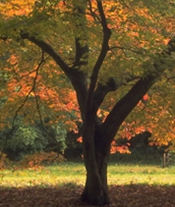 Trees add to our enjoyment of the outdoors, improve the air we breathe and contribute to the value of our properties. However, trees also have liabilities associated with them. The key to reducing those liabilities is to recognize when a tree becomes hazardous and take the appropriate steps to correct or eliminate the hazard. Our Certified Arborists provide a Tree Structure Evaluation/Risk Assessment Report. This report provides the following information: tree species, size, species failure profile, evaluation of location and site of tree, visual tree analysis, wood rot-decay analysis, risk rating, interpretation of evaluation and remedial treatments.